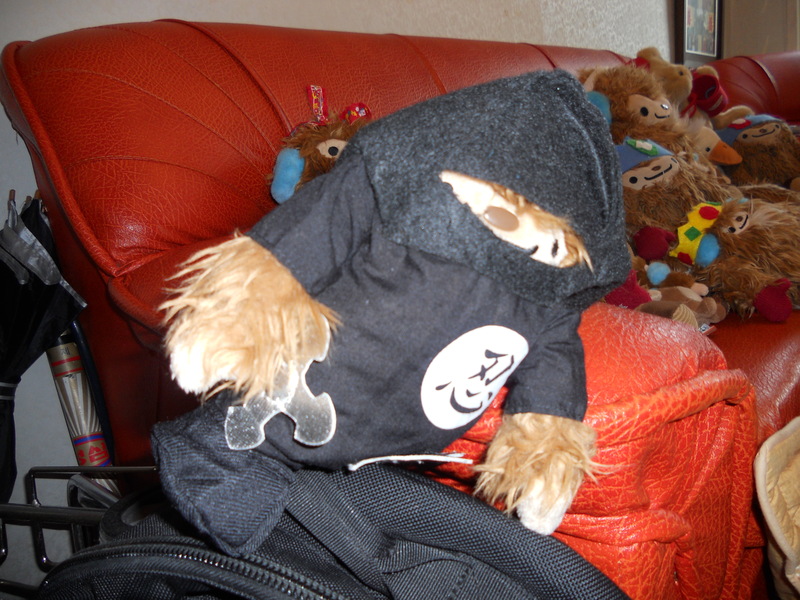 The Quatchi clan is back! They took real good care of Sophia and she is very grateful! 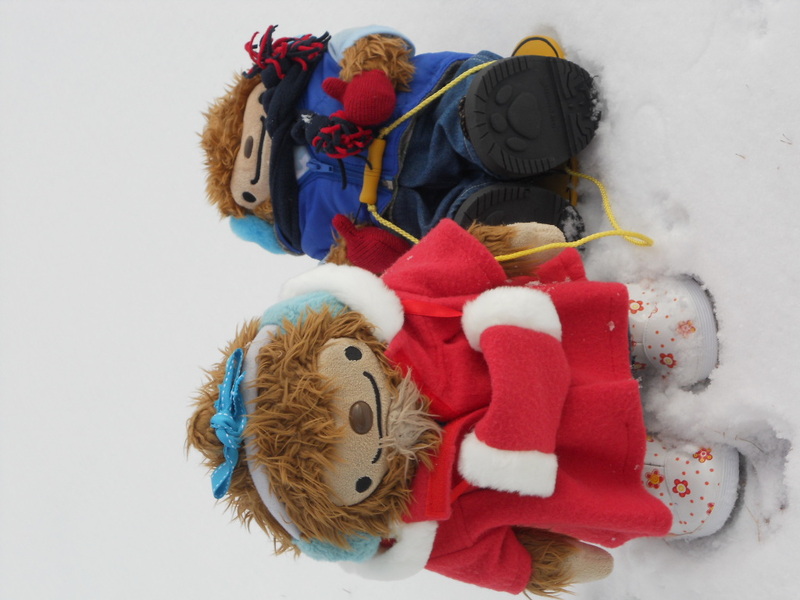 Here is Quatchster on a road trip with Sophia and her husband on the last big snowfall. 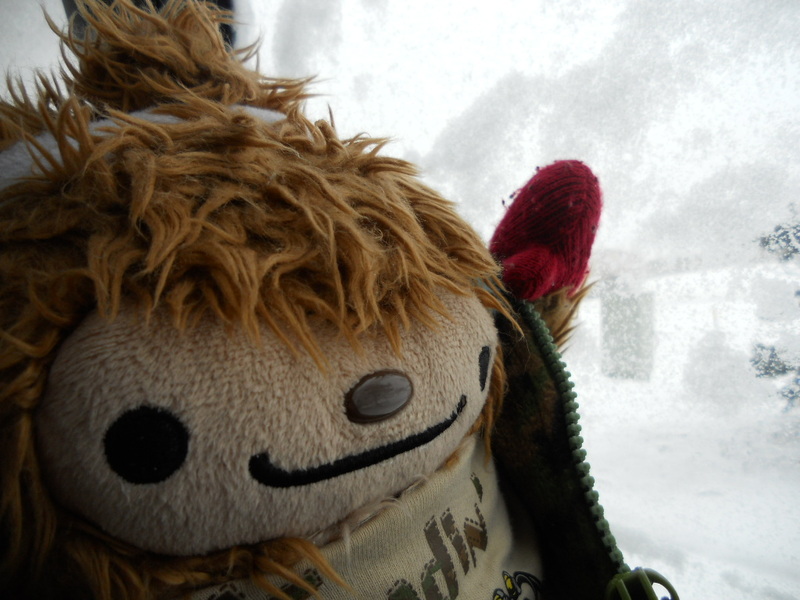 Quatchster can’t believe there is so much snow! 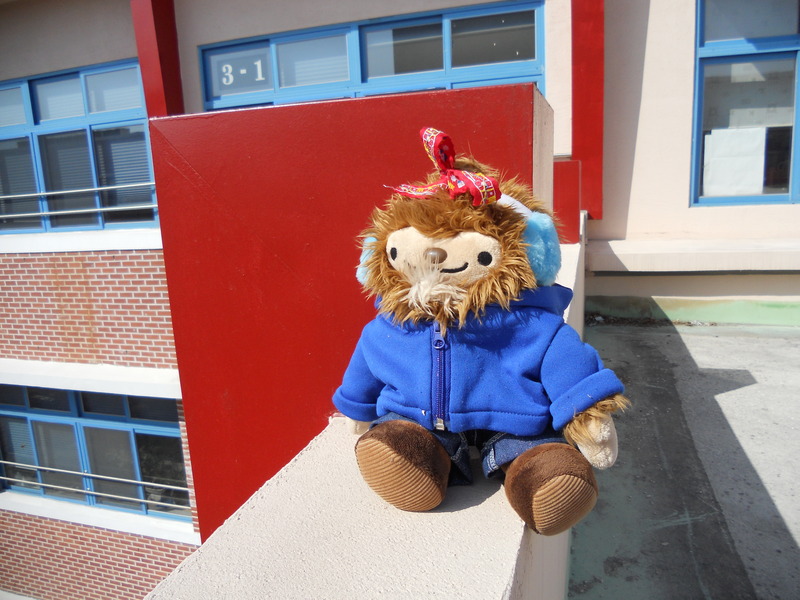 Quatchella is enjoying the cool breeze! Got to love the snow! Thank God he is clothed warmly! “ Can you believe how white everything is?” Quatchster says. 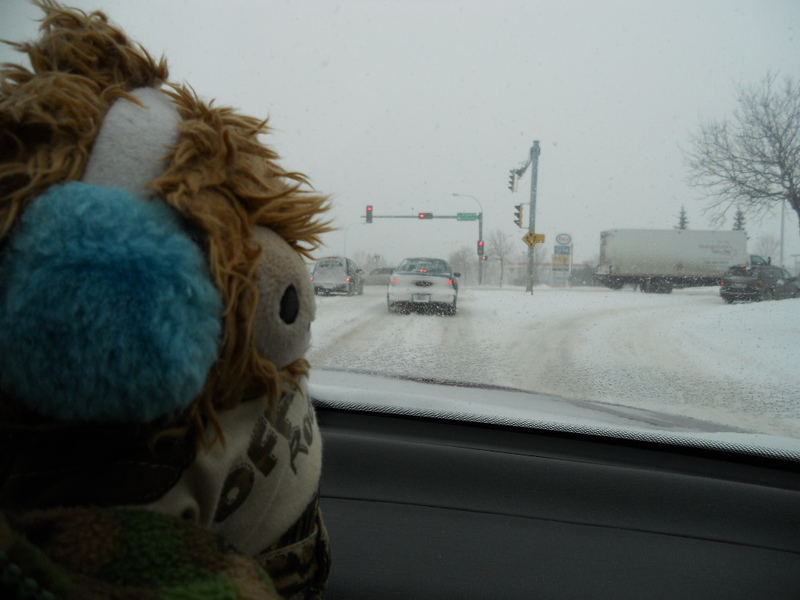 “Wow!” Quatchster is so glad that he is in the warm car! 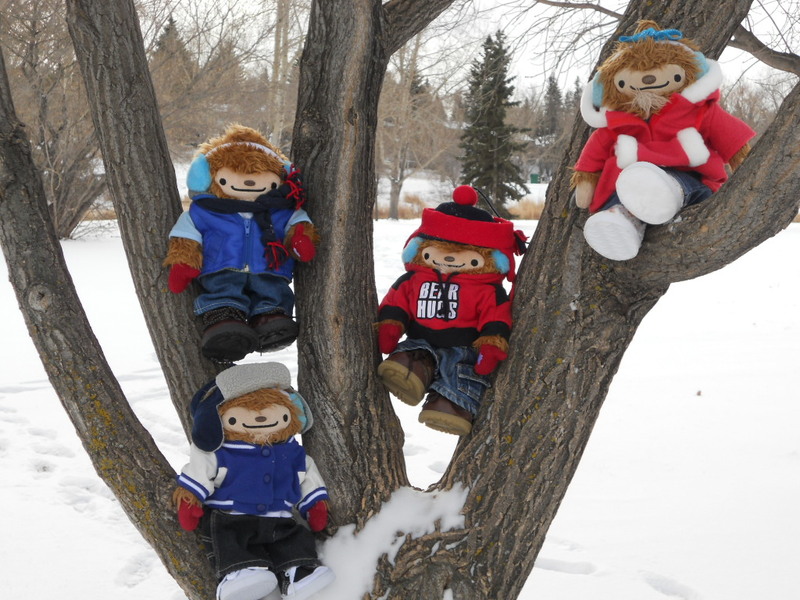 Since the weather has been snowing a bit more lately, 4 brave Quatchis’ decided to venture out. The rest, is happy watching tv, sipping hot chocolate, and snuggling in bed. LOL. 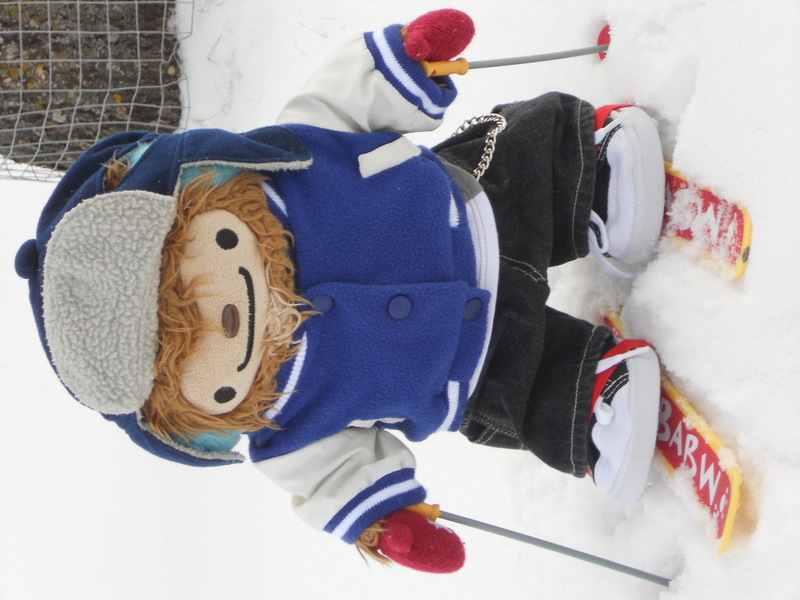 Here is Quatchone doing some cross country skiing with his BABW skis and poles. 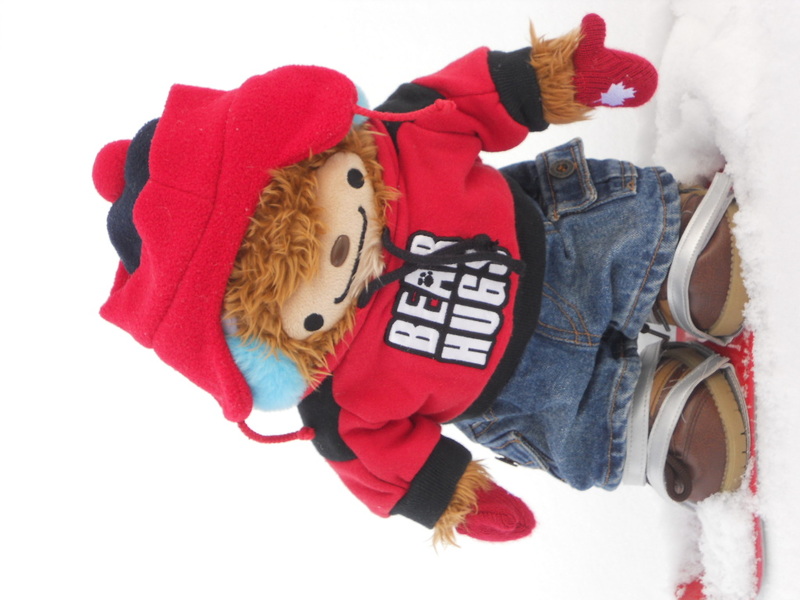 Quatchbeau just landed nicely after a jump on his snowboard. 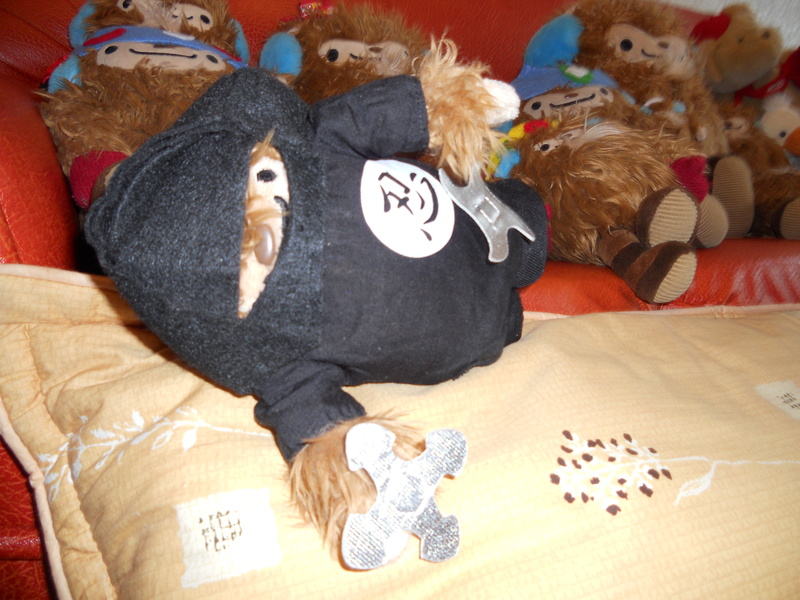 Quatchi really wanted first but he caught a cold and is in bed with some neo citrin. 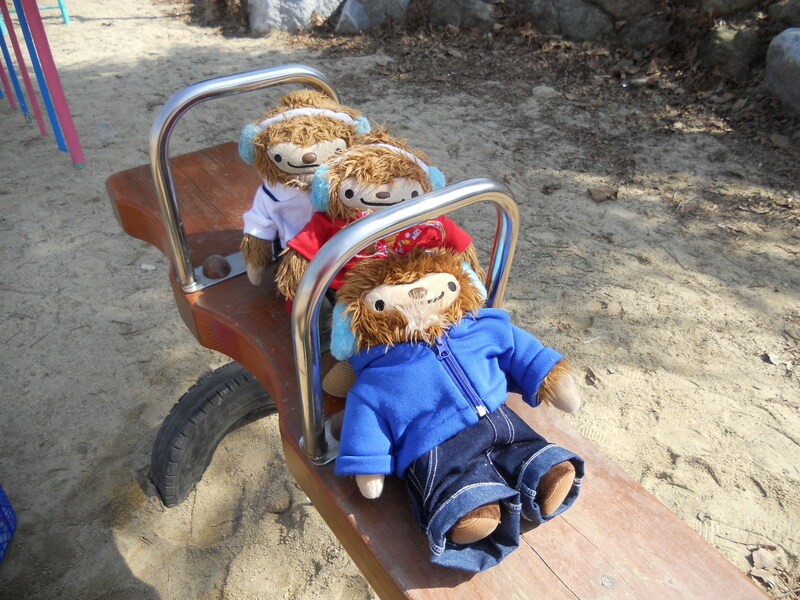 Quatclane is being a little bit lazy, so he is just enjoying the sled ride, while big hearted Quatchella pulls him along. 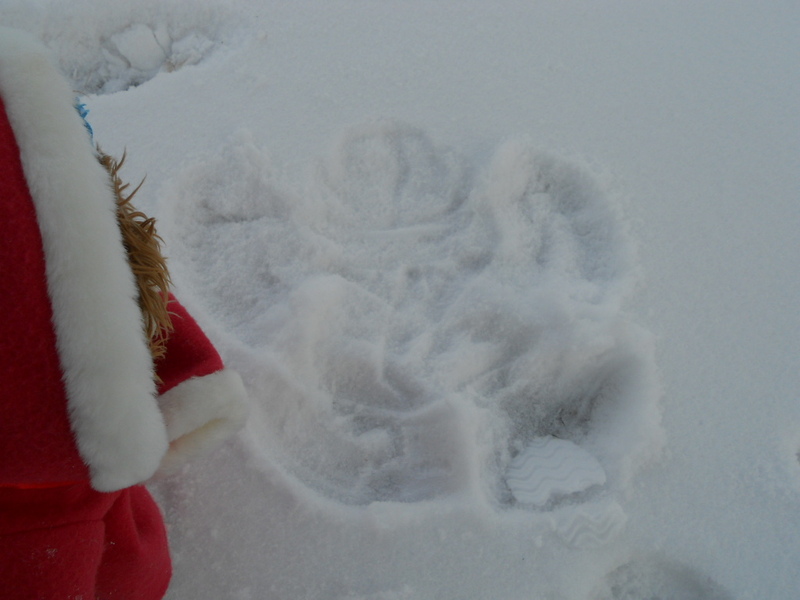 Quatchella just couldn’t resist and decided to make a snow angel. “Not bad,” Quatchella thinks admiring her work. I think it is pretty good too! 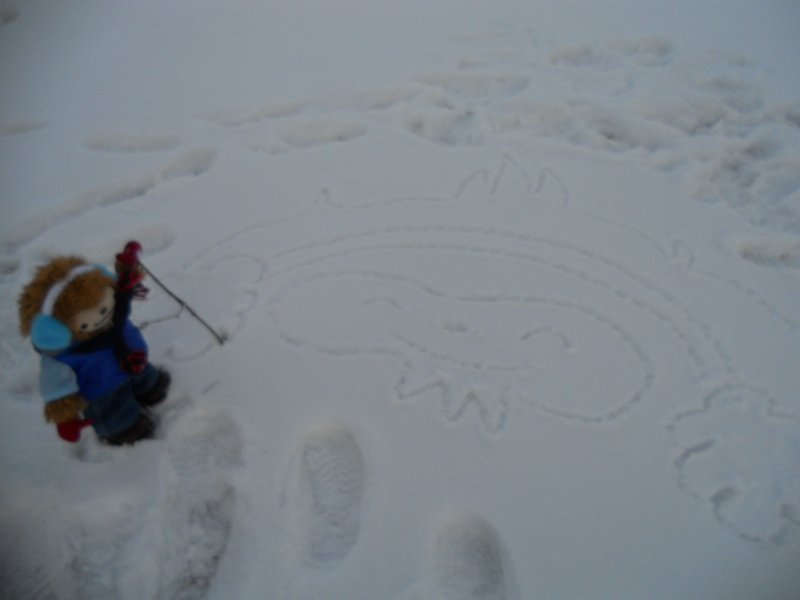 Quatchlane has decided to draw something in the snow. I hope that everyone can see it. 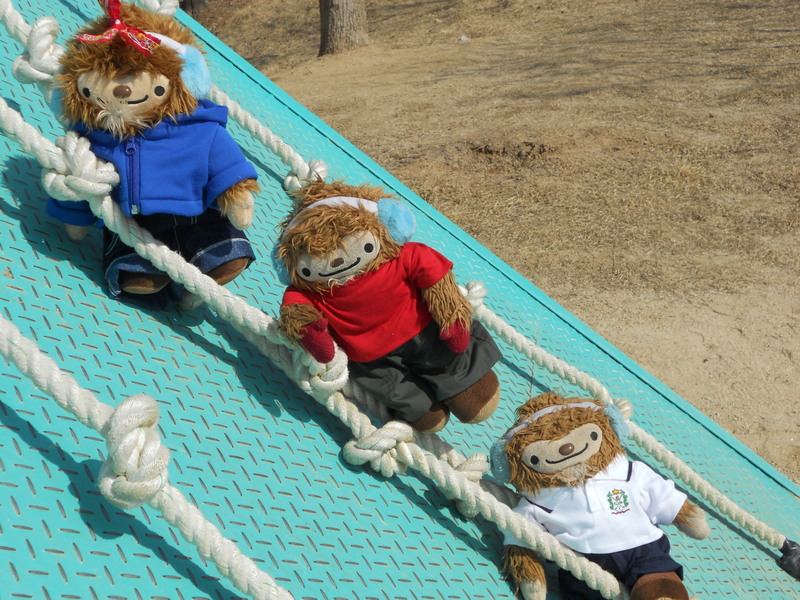 Last, but not least, they have to do their climbing thing. It is nice to find a tree that fits all of them. 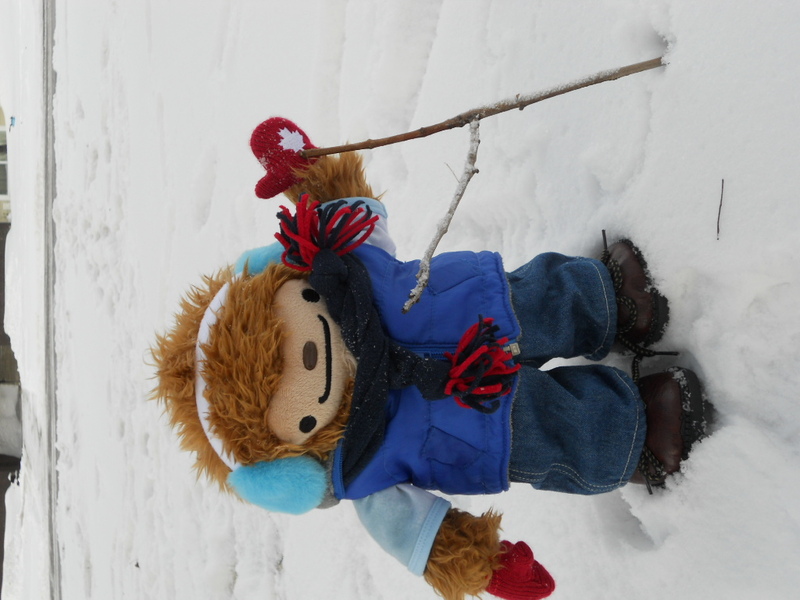 They wish that everyone has as much fun as they do with snow! 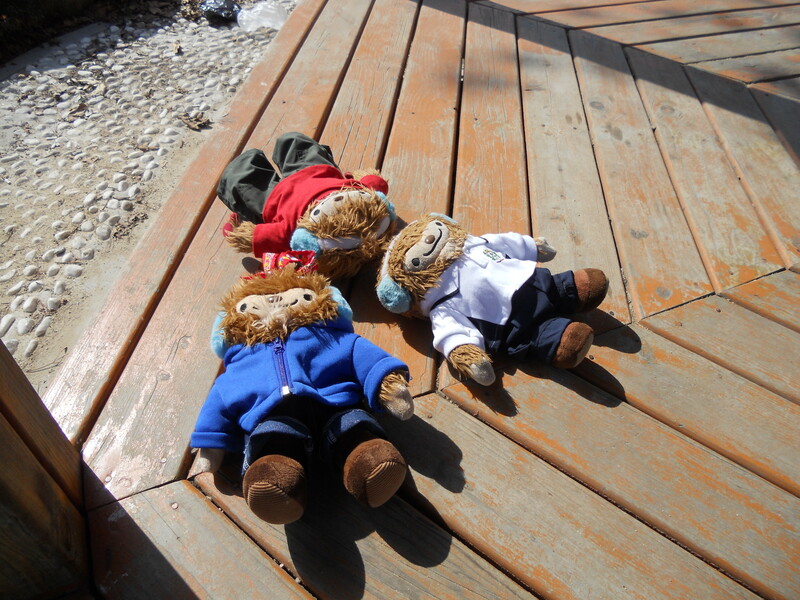 Here is Quatchi, Quatchone, and Quatchella are checking out the view from the rooftop! No one can follow them here and they are safe! 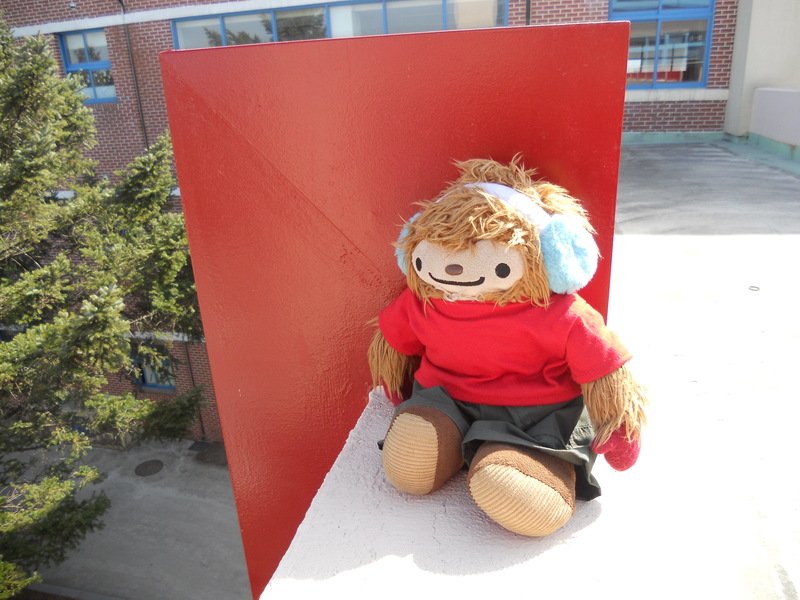 Quatchone wishes that he had water balloons to throw at some of the naughty students that tried to pull of Quatchi’s earmuffs. This is so nice! 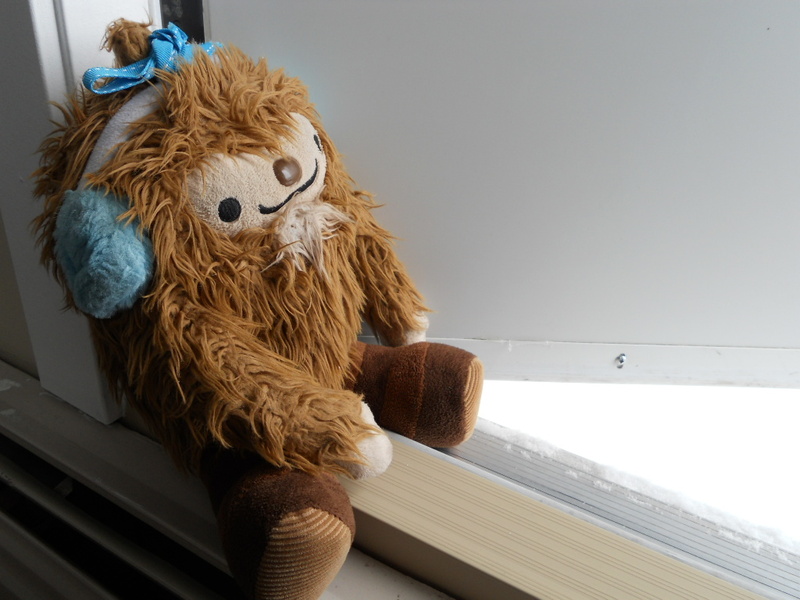 Quatchone thinks to himself. 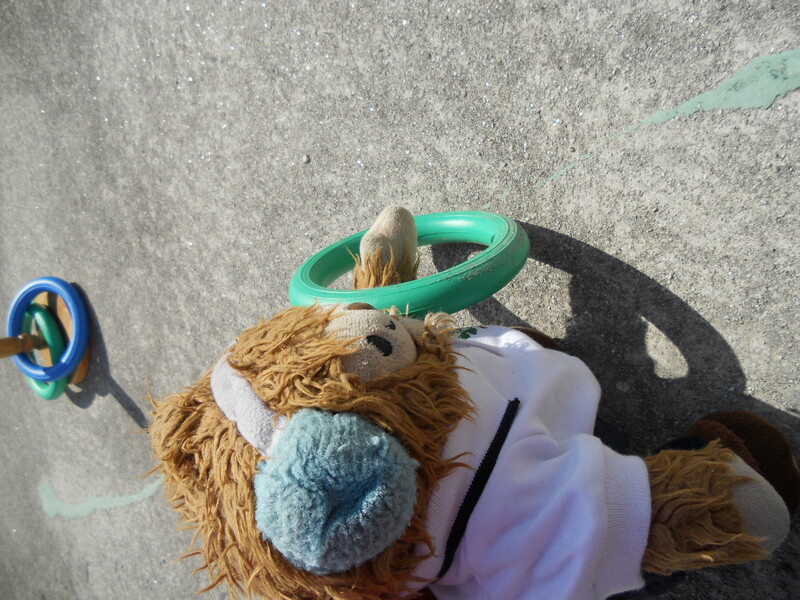 Last, but not least they decided to play a game of rings. They are all pretty good! They all got the rings over! 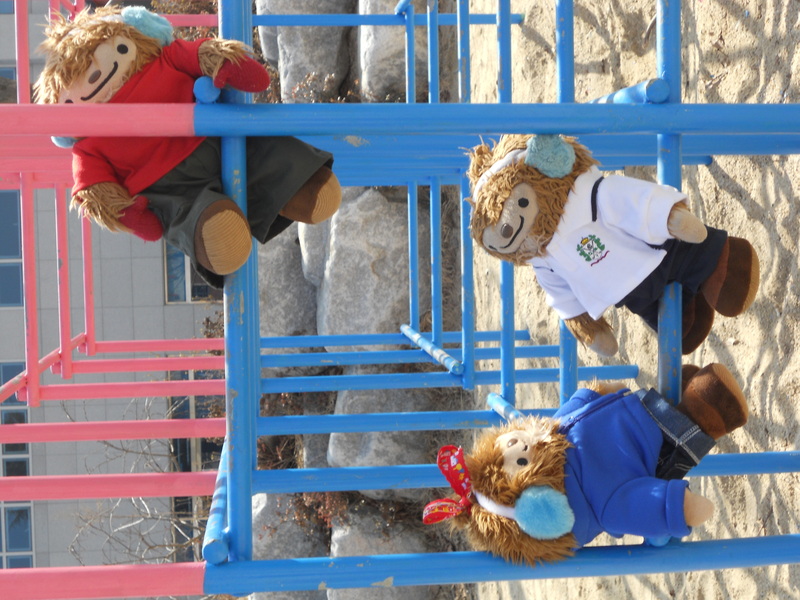 They should all come here next time they are at Joongang Elementary School. Communication the old fashioned way! 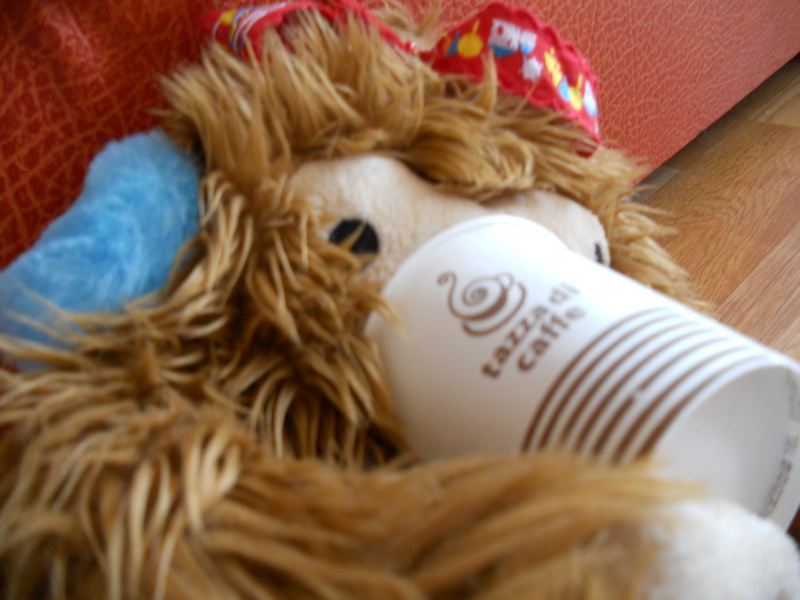 Here is Quatchella playing with these old fashioned cup phones. Do you remember playing with these as a kid? I do. Quatchella thinks it is cool because she can talk without disturbing anyone who is sleeping! I asked them what they were talking about but they just laughed and didn’t answer. I didn’t know that Quatchis had secrets. Who knew??? We are lucky to have clothes! 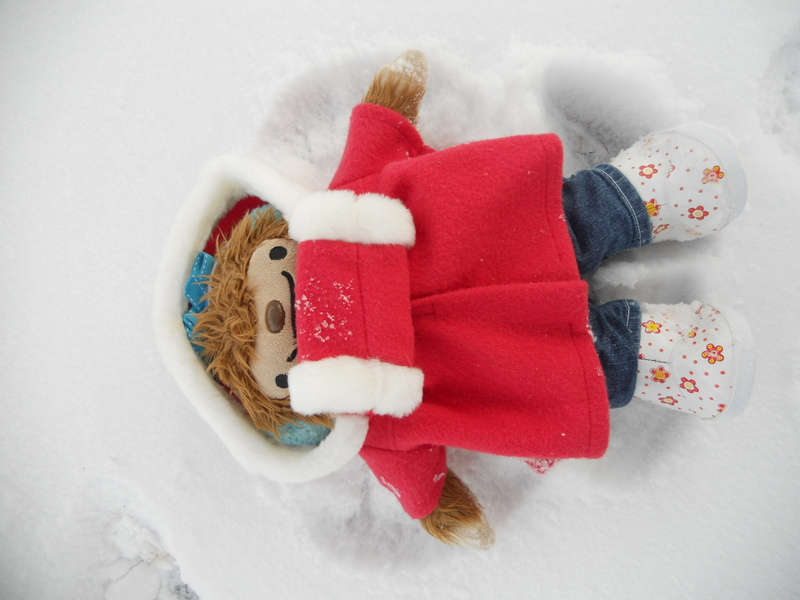 The 7.5 inch and 8.5 inch Quatchis’ don’t have the same opportunities for clothing as the 13.5 inch Quatchis’ but someone my best friend Lily managed (like their fairy Godmother) and found things that fit! THEY ARE AWESOME! 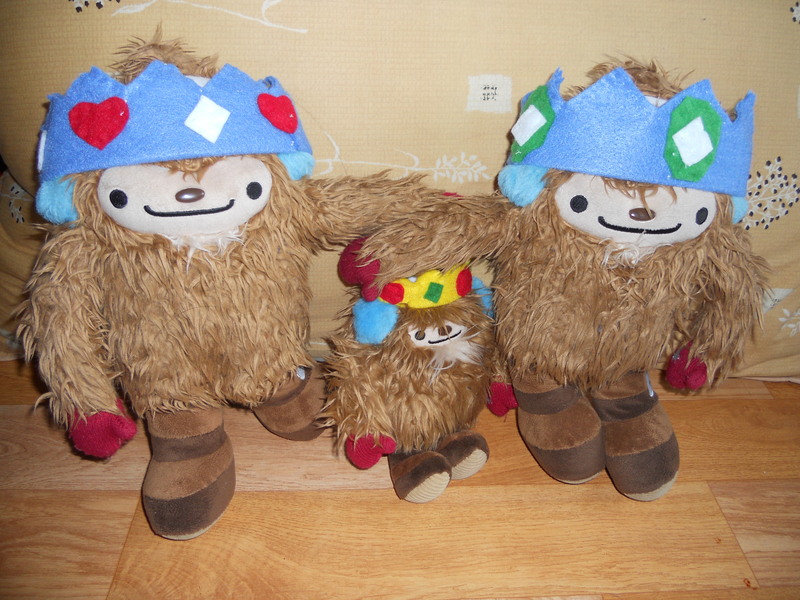 They (Quatchkin, Quatchimo, and Quatchford)think that they did justice to the clothes! They LOVE THEM!!!! They won’t be cold now!!! 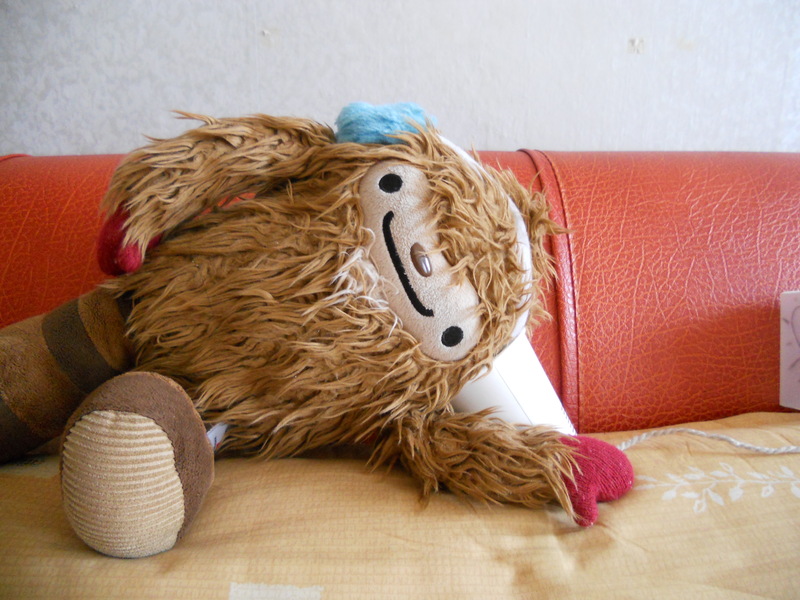 Quatchimo sneaks up on Quatchington. 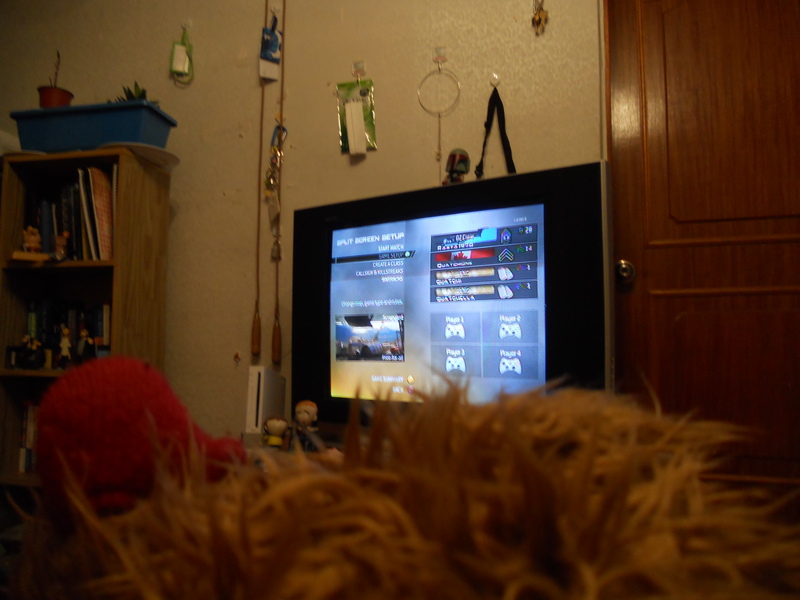 “So far, no enemies sighted!” Quatchington says. 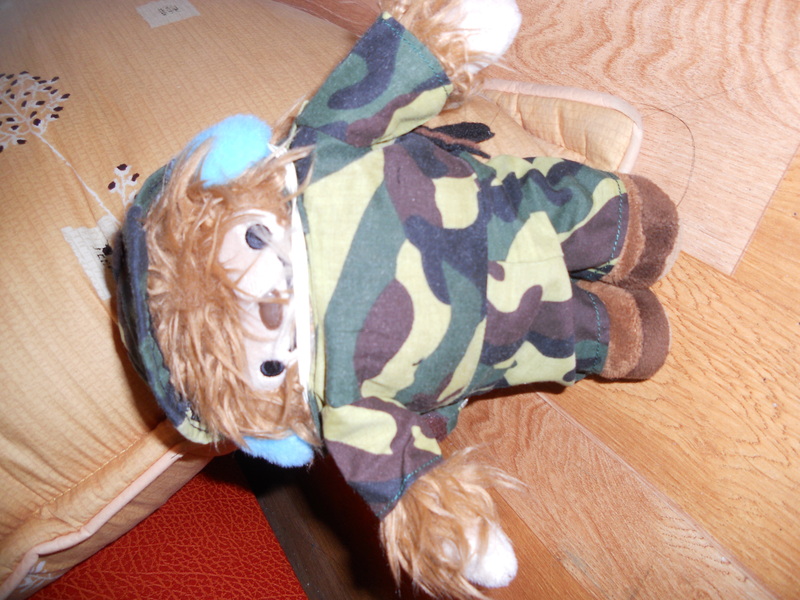 Quickly, Quatchimo jumps over. Then Quatchington sights him with the flashlight! It’s a truce!!! 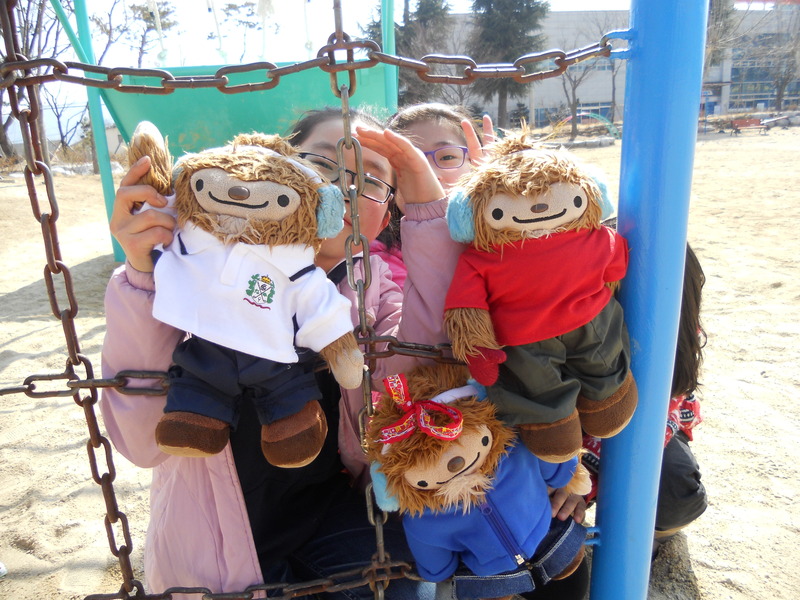 Since Sophia is teaching a phonics english camp this Spring vacation, the Quatchis (Quatchone, Quatchi, and Quatchella) decided to go out an explore the school playground. 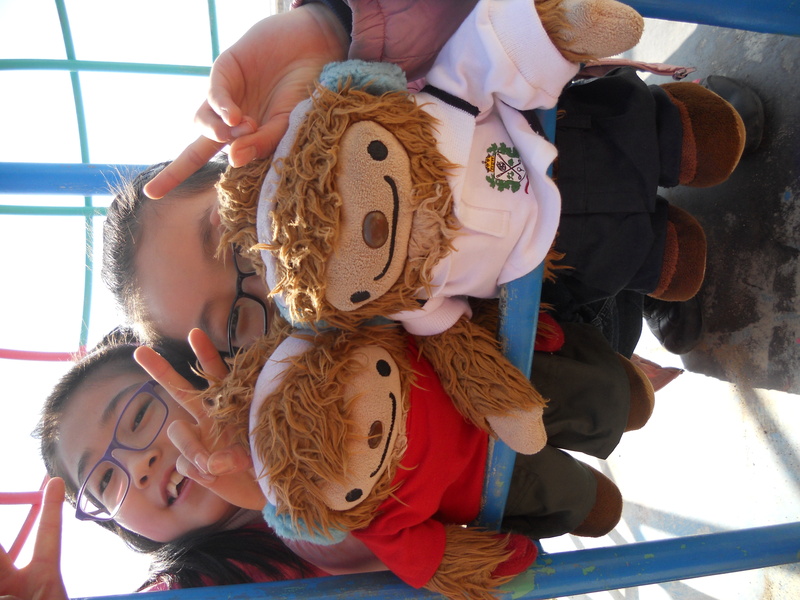 They were greeted by Soh (on the left) and Minjin (on the right). 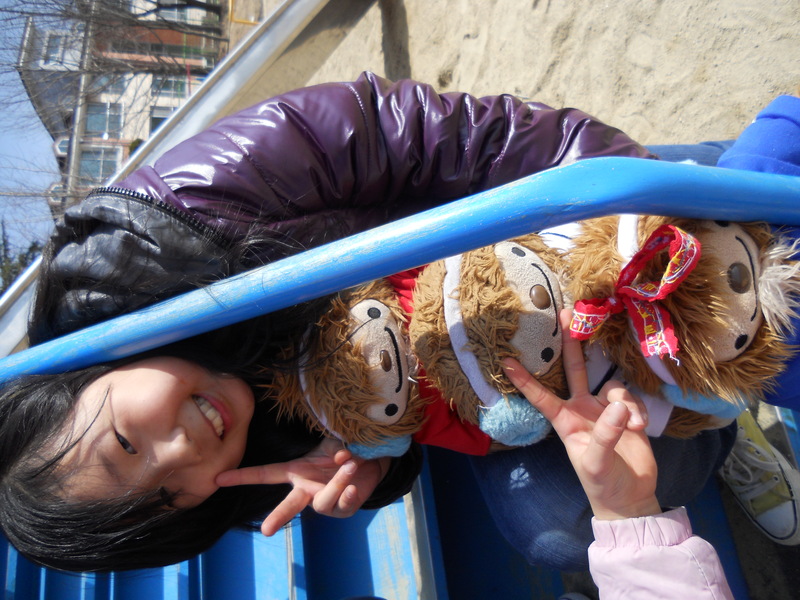 A close up with Minjin, with Soh’s fingers added in. LOL. 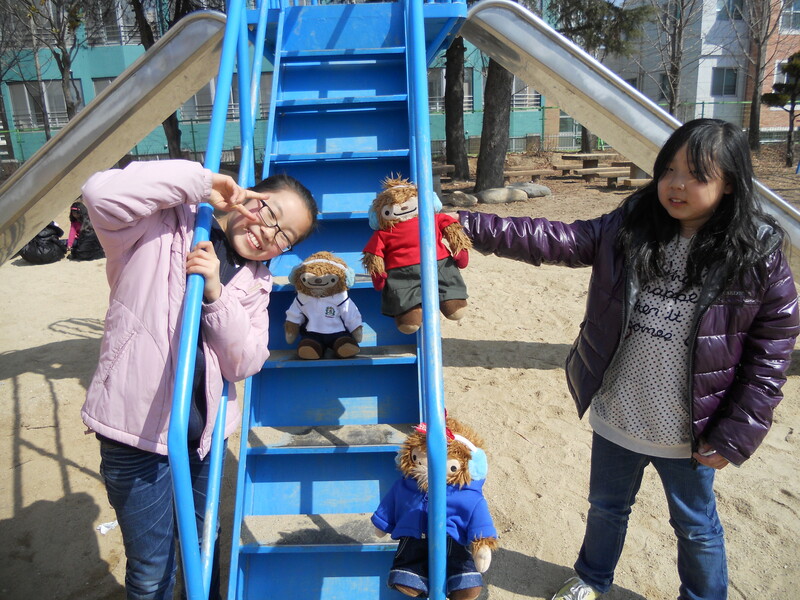 This is Soh and her little sister joining the Quatchis’. 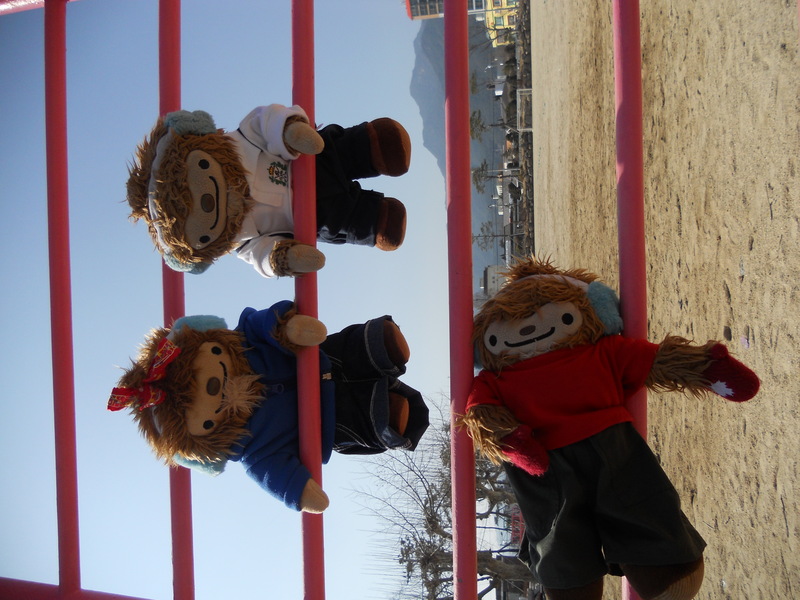 Even though the Quatchis’ love to meet new people, Quatchi, Quatchone and Quatchella, just really wanted to play amongst themselves. Finally, the other girls left! Freedom! “Quickly, climb away before they come back!!!! !’ Quachella shouts to Quatchone and Quatchi. 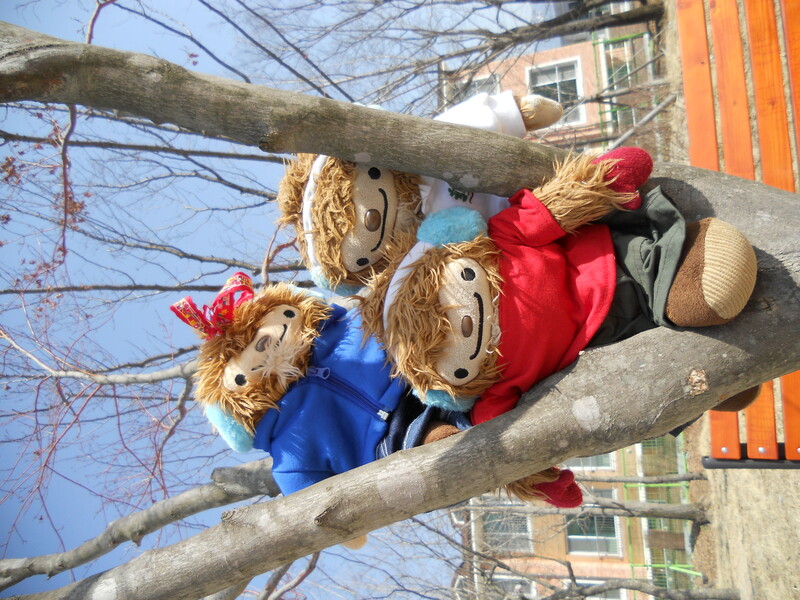 Here they are safely resting in a tree. 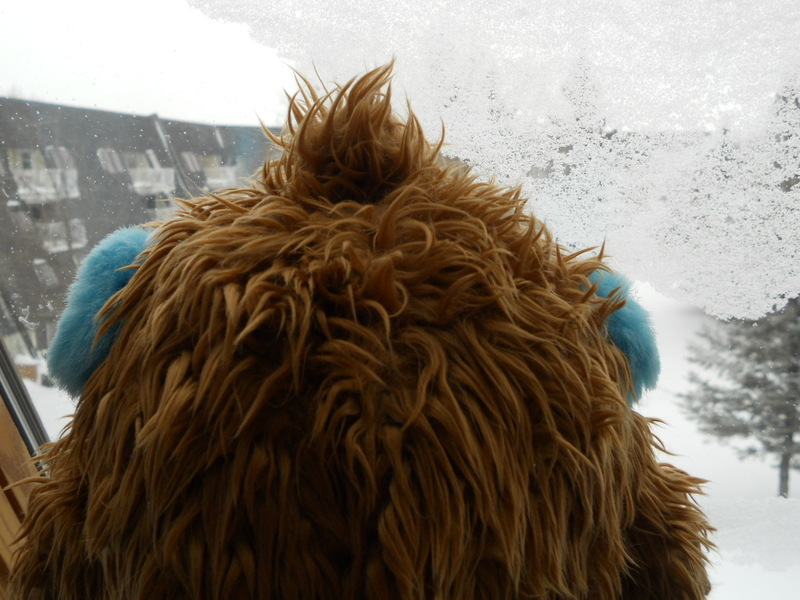 “Whew!Looks like the are gone for good!” Quatchone says. Fun time on the seasaw! But who’s on the other side? 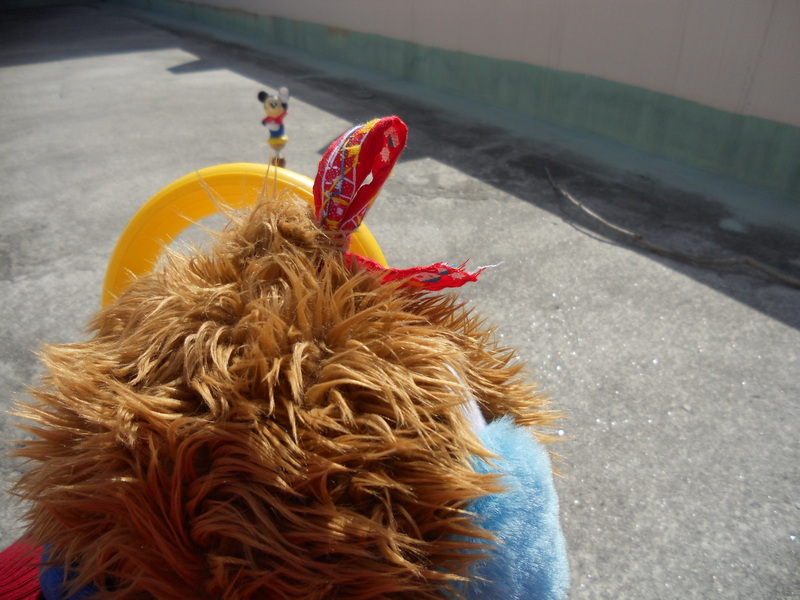 “Hey, wait up!” Quatchone says, to Quatchella and Quatchi. 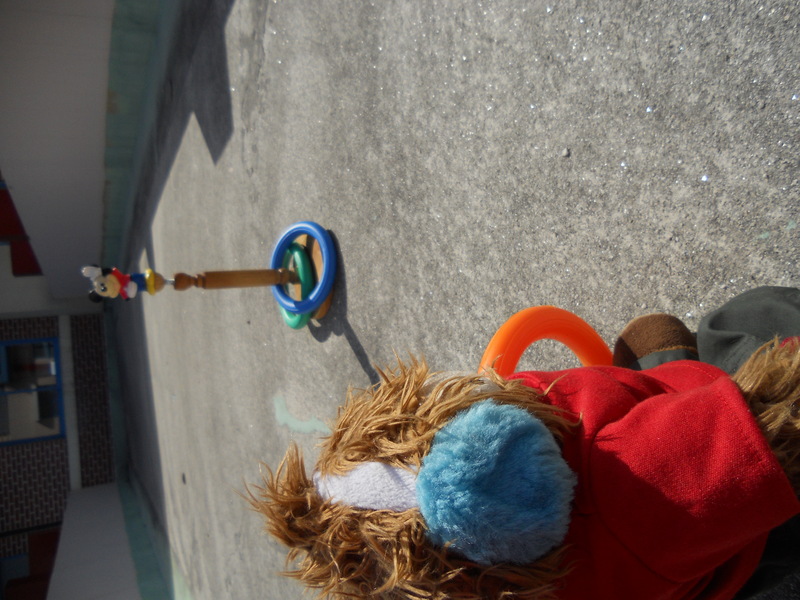 Finally, Quatchone gets to the top first! Call of Duty Mondern warfare 2 Xbox party. 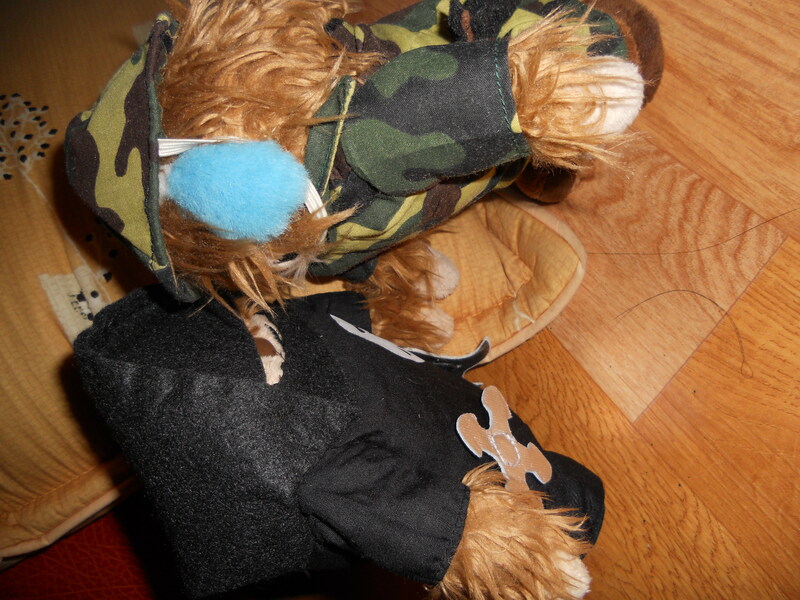 Quatchella and Quatchi, have decided to play the game. 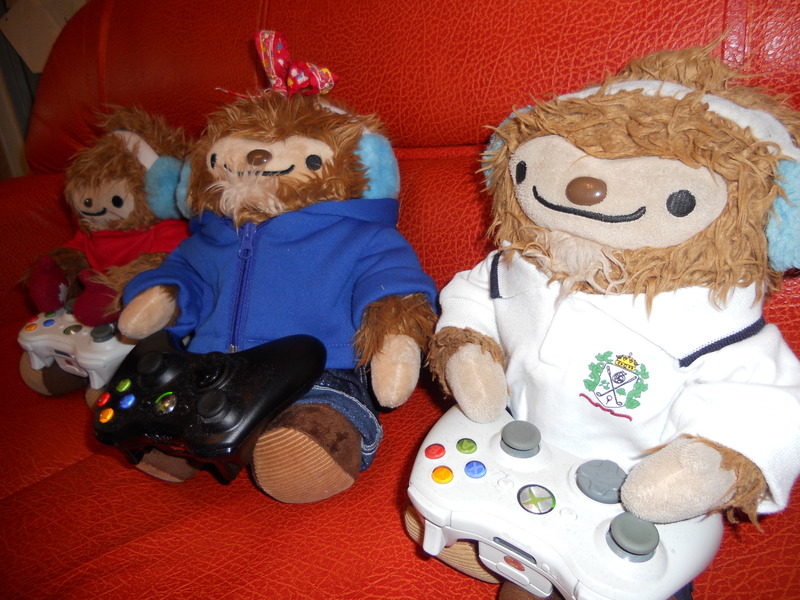 Even though Quatchis’ by nature are not violent, they do like to get their aggression out by playing some Xbox games. Wait! 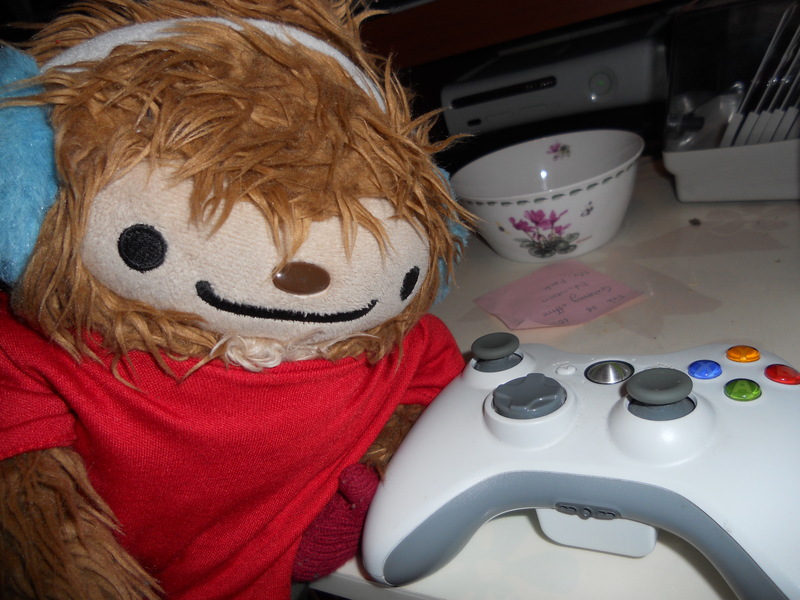 Quatchone wants to play too!!! Quatchone sometimes plays with my husband. So he is on level 14. 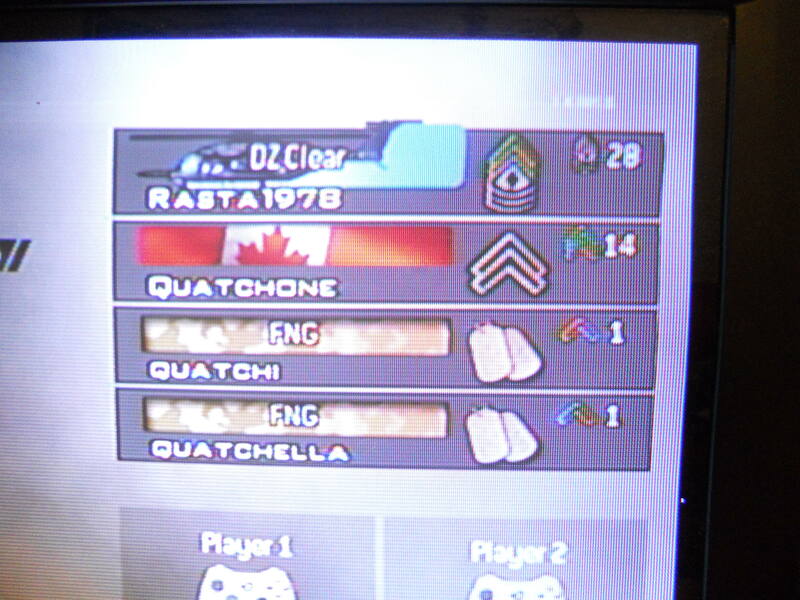 Quatchone wants to show them how it’s done! 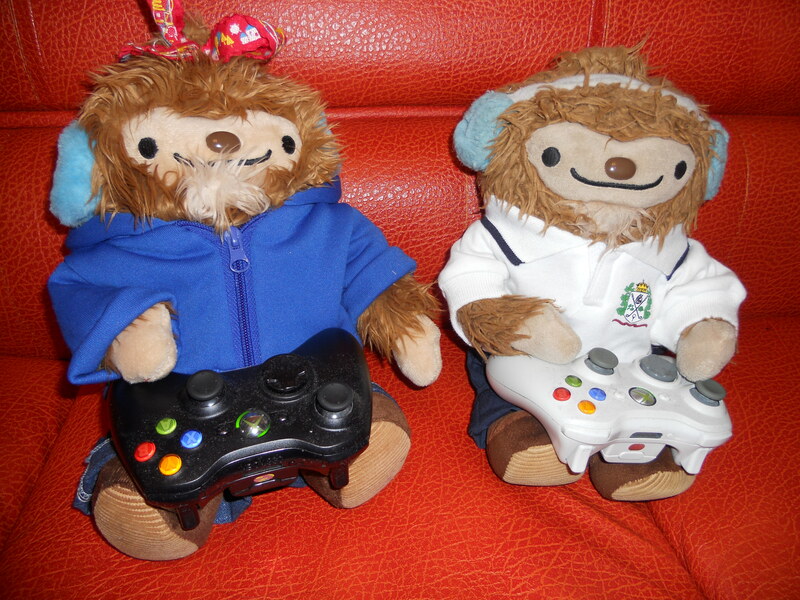 Quatchella and Quatchi are ready for the challenge! Here are the different levels. At the end it was my husband to beat them all. 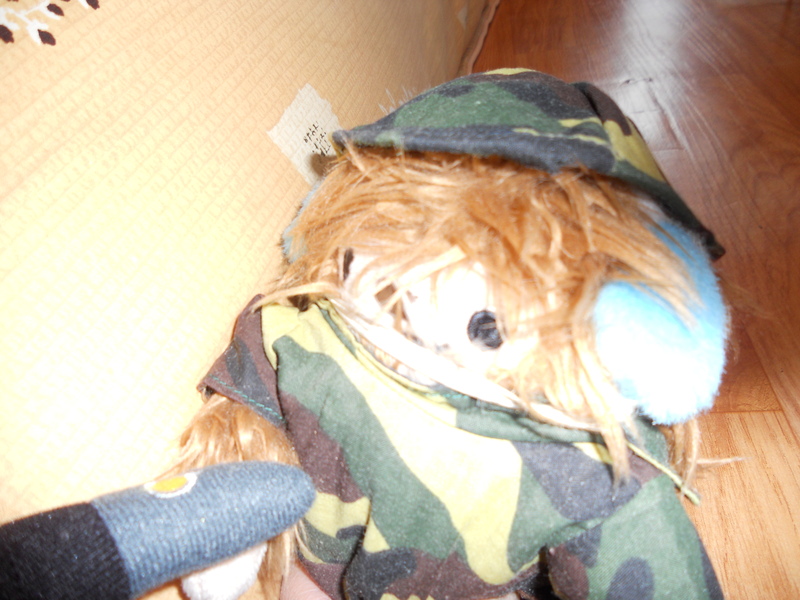 But of course, when he’s not on the Xbox, Quatchone, Quatchella, and Quatchi vowed to secretly practice and eventually take him down!!! Wish them luck!!!LOL. 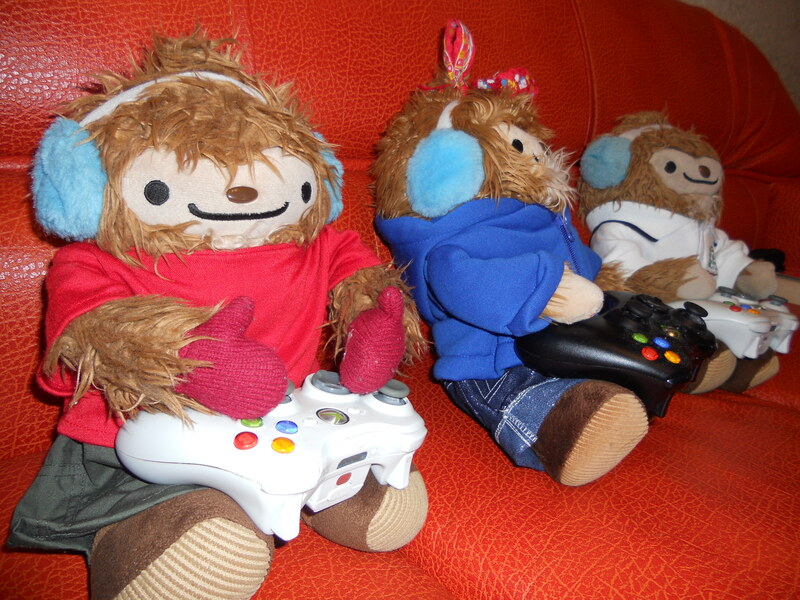 Here are the dream team red mitten Quatchis’-Quatchster, Quatchiano, and Quatchone. Sophia and Quatchette started making crowns for all of the Quatchis’ but the red mitten Quatchis’ got their hands on the first three.LOL. We all think that they suit them well! Late Chinese New Year card! 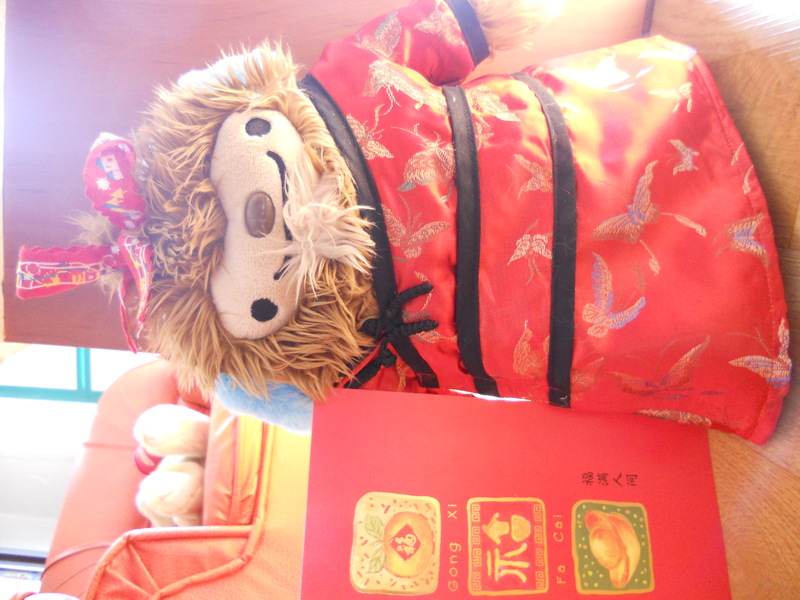 Here is Quatchella with her Chinese New Year outfit and a late Chinese New Year card from T and M.
It is still pretty cool though. 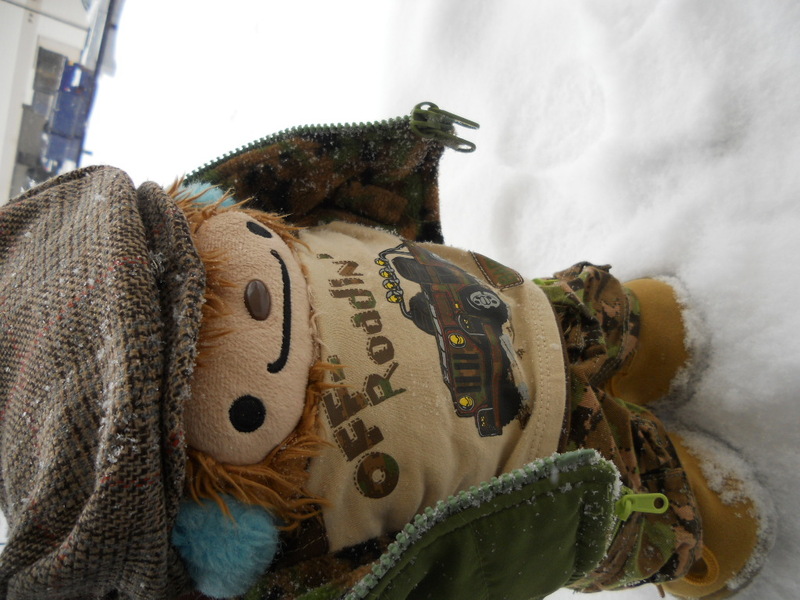 I think that Quatchella looks very sweet in this outfit don’t you?